Hosting for about 80% of Rich’s Web Design clients are through Buzix.com . They are a company founded in 1996 out of south Florida has has provided and protected my clients for the last 20 years+. 99.9% up-time, expert technical support manager and redundant 24/7/365 monitoring is in line with professional industry standards. If your current site is hosted elsewhere, most of the time it is less complicated to keep it hosted with your own service provider. Our Web Hosting Mission – Our customer service staff continually strives to offer a positive personal web hosting experience with round the clock technical support. We work together to make sure every clients’ needs have been met efficiently and effectively between all departments and our management team. Reliable Web Hosting – After twenty years experience in web hosting, you can count on our service being stable, fast and reliable. Host with us and see what happens when you’re web-hosting company is focused on helping to grow your business! Server Location – Our server up-time is as important to us as it is to our clients. That’s why the Buzix servers are housed in secure Network Operations Centers within the United States . 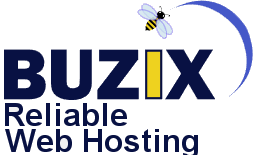 Our Web Hosting Services – Buzix uses the secure Linux platform. We feature the easy to use cPanel control panel. With our free scripts. you can easily add functionality to your web site. We offer high-quality Intel servers that are fast and reliable. Our hosting services are compatible with Dreamweaver. and other major web design programs.